Add the Liberty 5 in. Bronze with Copper Highlights Birdcage Bail Pull to your cabinetry for a decorative, classic look. The pull offers a bronze with copper highlights finish that can complement your decor. Designed for easy installation. Pull, Birdcage Bail Design, 96mm Add the Liberty 5 in. Bronze with Copper Highlights Birdcage Bail Pull to your cabinetry for a decorative, classic look. The pull offers a bronze with copper highlights finish that can complement your decor. Designed for easy installation. Pull, Birdcage Bail Design, 96mm is rated 4.5 out of 5 by 10. Rated 4 out of 5 by Nana from They represented the look I wanted, but unfortunately they did... They represented the look I wanted, but unfortunately they did not fit. I needed 3 1/4.I need to return them. Rated 5 out of 5 by Sharon from Exactly what I wanted. Did the job. Exactly what I wanted. Did the job. 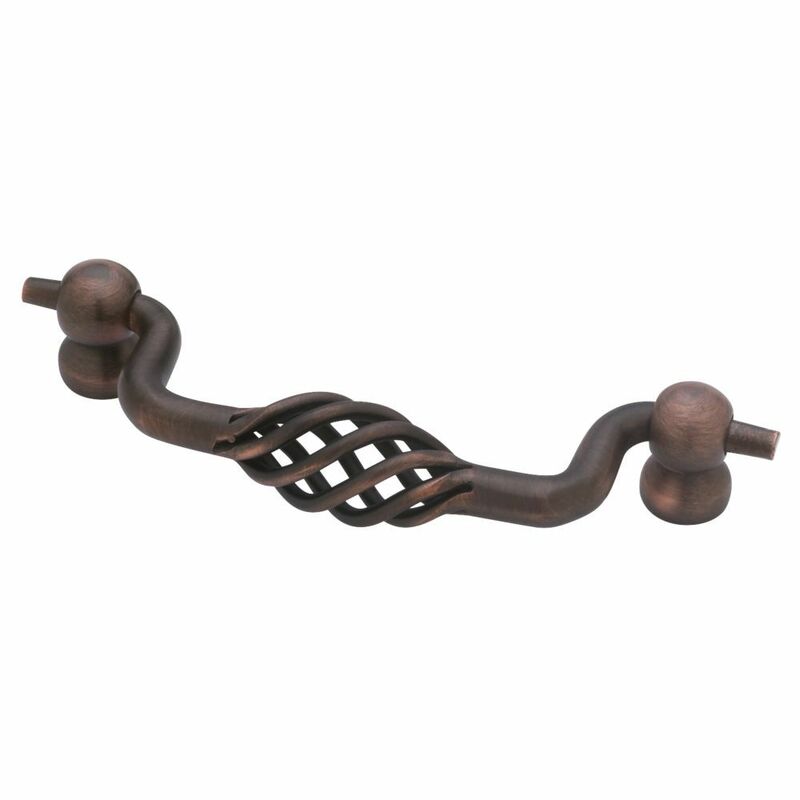 Rated 5 out of 5 by Mary from This bronze drawer pull is a quality product with attractive styling. This bronze birdcage drawer pull is absolutely lovely....and I am very pleased with the quality....feels very solid, with good heft. And the price was reasonable.....I was disappointed that I could not order and pick up the order at our local store to save the shipping costs....the shipping cost as much as the item. Other than that I am very satisfied with the product. Rated 5 out of 5 by Dave from Good value for price! Used both the 3-3/4 and 5 inch versions for a coffee and end table. Easy to install. Fashionable. Hope my sister-in-law doesn't see this post, as these are gifts to her! Rated 5 out of 5 by SusieQ from Worked perfectly to replace broken handles Attaches better than original handles. Gives greater support when lifting chest they are on.